Upgrade to music streaming without altering your cars original look or wiring integrity. To those adamant about keeping their vehicles stock look we offer a line of adapters sure to open up a whole lot of different options for listening to music and other audio content. With the A2D-BKR paired to smartphone, tablet, kindle etc, users can stream apple music, Pandora, turn-by-turn directions, podcasts and more on daily commute without the hassle of CDs, Cassettes or monthly cost of satellite radio on all Becker Aux Ready Radios. (See drop-down menu below for radio models). Becker radios are popular in older Euro luxury cars (e.g Porsche, BMW, Mercedes, Land Rover, Ferrari etc). 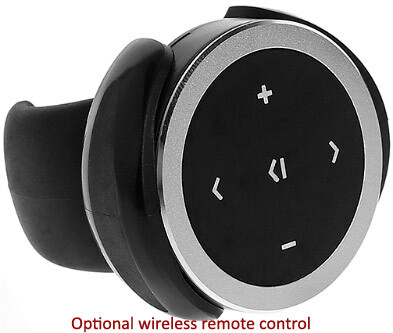 This clean solution leaves no wires on or around the dash and is the accessory you want if looking for Bluetooth music streaming connectivity without investing in a new Radio. » Provides a wire free audio connection without disrupting the look of existing dash components. » Auto-reconnect/disconnect when ignition is turned on/off. » Stream from music internet sites such as Pandora, Spotify, iHeart Radio and more. 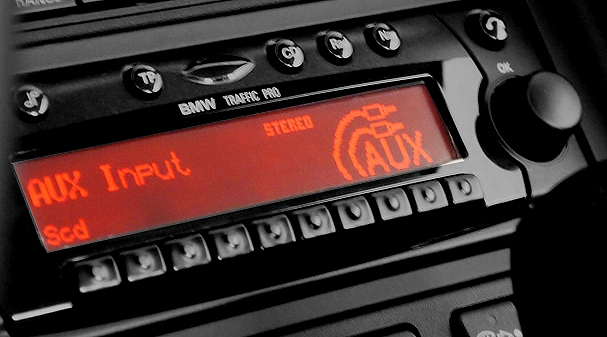 » Connects to the "AUX" port on Becker Radio (not FM Modulated). Avoid costly returns. See Installation Guide prior to ordering. * Cascade with factory hands-free option must purchase this harness to retain this feature. 2. Does not supports Hands-Free Profile (HFP). See our BKR-HF. Does not apply to other cart items. Originally ordered the Blau/8-3.5 cable for my Boxster with CDR220 radio, then saw this part which i thought was a more attractive option. Called to changed order and glad i did. This parts was easy to install (just follow the pdf document here online) . Pairing with iPhone takes less than a minute and does not have to be repeated. I tested with Pandora stream and Waze navigation.. works like a charm. The music mutes when turn by turn instructions are given, then returns to full volume thereafter. I read about this part on the Porsche forums and decided to give it a try. First, this thing was easy to install. The most difficult part was getting the keys to release the radio (CR220). It literally took less than a minute to make the connections and another 15 seconds to pair my iPhone. Because of this adapter, i can now listen to Howard Stern and other Sirius app content while on the road.